Get this NEW Kubota L3301DT Power Package at any Great Plains Kubota location or customize a Kubota package that is right for you. 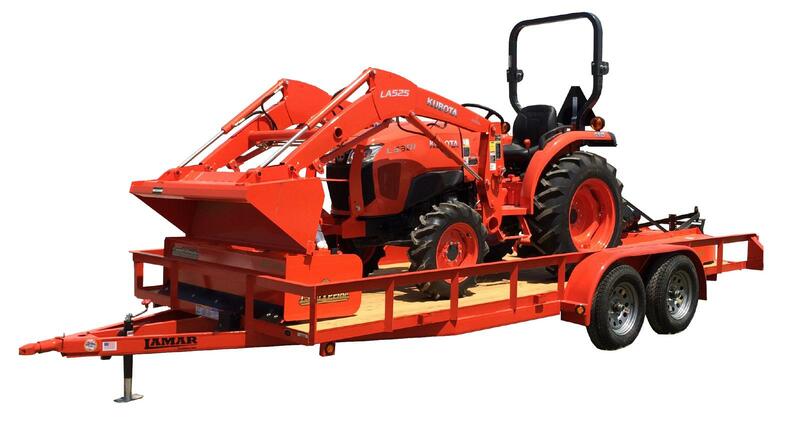 This package includes a Kubota 4WD/33 HP Tractor Kubota with Loader and Bucket, 60" Land Pride Box Blade/Rotary Cutter, and 18' Trailer. These packages and more are available at any of our four Kubota dealerships in Ada, Duncan, Edmond and Shawnee.